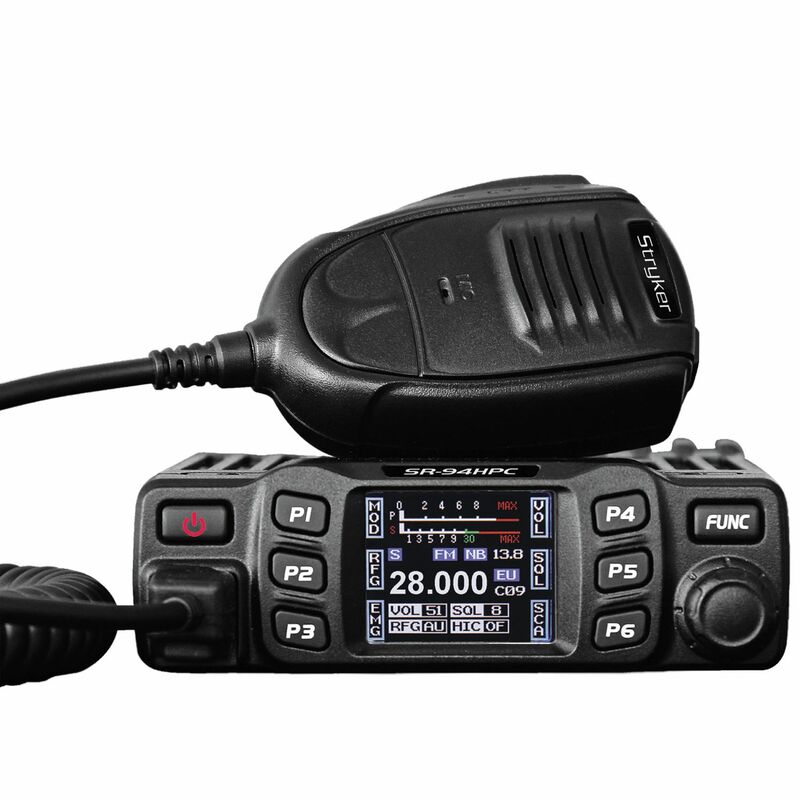 This compact (5.8” L x 4.8” W x 1.4” H ) 45 Watt AM PEP 10 meter transceiver is small enough to mount just about anywhere. Features a full Color TFT display with dimmer, Back-Lit keys, Scan & Dual channel watch, channel & frequency display, Digital S-Meter display, Integrated Automatic SWR Meter, Roger Beep, instant channel 9 & 19, Noise Blanker & Hi-Cut filters & Time-Out Timer function. Optional CTCSS Board & Bluetooth connectivity with accessories (not included).